Defendant Angela Kilgore takes the stand while the jury was out of the courtroom to waive her right to testify in her murder trial in Marion County, Tenn., on Wednesday, Aug. 29, 2018. Updated at 4:40 p.m. on Thursday, Nov. 8, 2018, with more information. The woman convicted of murder, robbery and arson in the 2016 slaying of a Whitwell, Tennessee, pawn shop owner was sentenced Thursday to life in prison. Angela Denise Kilgore, 53, was convicted Aug. 29 on charges of first-degree murder, aggravated arson and especially aggravated robbery in the killing of 72-year-old Jerry Ridge in October 2016 at his business, Valley Pawn Brokers, on state Highway 28. 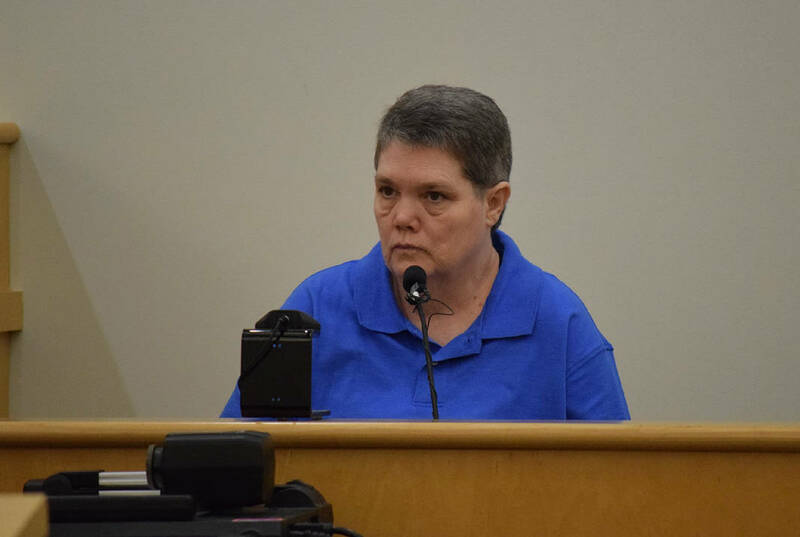 Kilgore's life sentence is considered to be at least 51 years in prison, plus she was sentenced to 40 years on the aggravated arson count and another 40 years on the especially aggravated robbery count, 12th Judicial District Attorney General Mike Taylor said Thursday. Taylor said the two 40-year sentences were ordered to be served consecutively with the life sentence, which totals 131 years. A gun theft sentence was ordered to be served concurrent with the other sentences, he said. Kilgore was arrested in October 2016 in the May 17, 2016, death of Ridge, whose body was found by firefighters inside his business after a fire. Authorities were suspicious of the fire early on. Ridge had operated the shop for 17 years when he was killed. The only items missing were weapons, which were later recovered. Kilgore also has a federal criminal record in a conviction in a one-day jury trial for attempted bank robbery and carrying a firearm while attempting to rob Citizens Tri-County Bank in Dunlap in 2004. Records state Kilgore had another conviction in 1990 in Marion County for aggravated robbery.